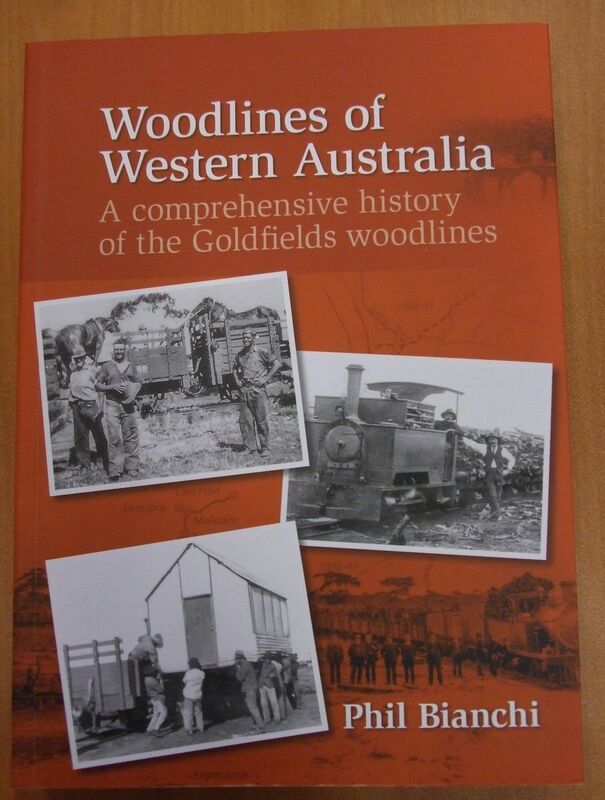 Looking for a copy of Phil Bianchi's just launched publication: Woodlines of Western Australia, A comprehensive history of the Goldfields woodlines? LOOK NO FURTHER! EGHS has copies for sale at the Old Boulder Municipal Power House. Come and visit us, peruse our displays, and buy a book. The retail price is $85. 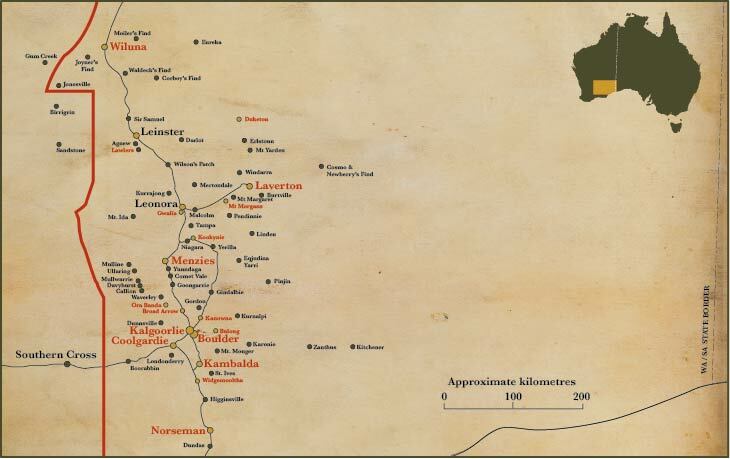 The Eastern Goldfields region of Western Australia covers an area of about 320,000 square kilometres, stretching across seven local government districts from Wiluna in the north to Norseman in the south. At its hub is the thriving gold mining city of Kalgoorlie-Boulder, built on one of the richest gold deposits in the world – an ancient belt of volcanic and sedimentary rock between 2.6 and 2.9 billion years old. The first inhabitants were the Aboriginal people, who lived in this vast region tens of thousands of years before the early explorers paved the way for gold-seeking prospectors. Then came the first gold discoveries at Coolgardie in 1892. Mines and municipalities developed rapidly throughout the region, many to be abandoned within a few years or decades when the precious metal ran out. Beyond the towns with their mine shafts and stamp mills, graziers raised sheep and cattle on vast pastoral holdings. 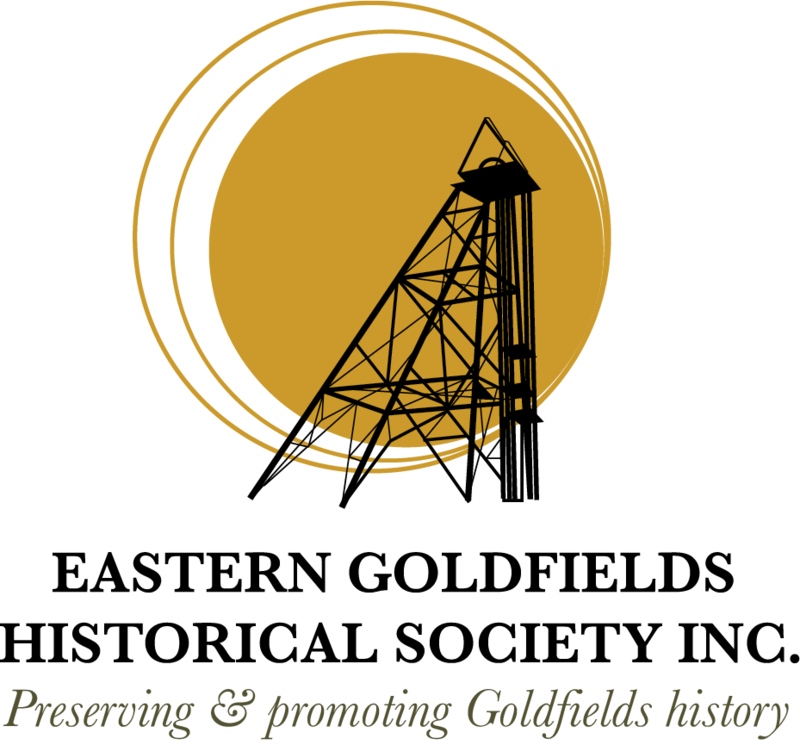 Since its formation in 1946, the Eastern Goldfields Historical Society has been recording, preserving, researching and promoting the history of this region with one goal – ensuring that our shared heritage and ghost town memories live on. Come and viewour displays and explore the extensive collection of historical photographs, reference materials, books and significant objects. Click on the map to explore our region.